1) Daylight Saving begins this Sunday, 3/12. Don't forget to Spring Forward ! rewind your clock 1 hour ahead Saturday night before you go to bed. 2) Chinese Recitation class is back! for Now! by our prestigious Bai Laoshi. This popular 2-week program brought by San Diego Hua Xia Chinese School, is sponsored by China Overseas Exchange Association, and executed by its Shaanxi (陕西) branch. 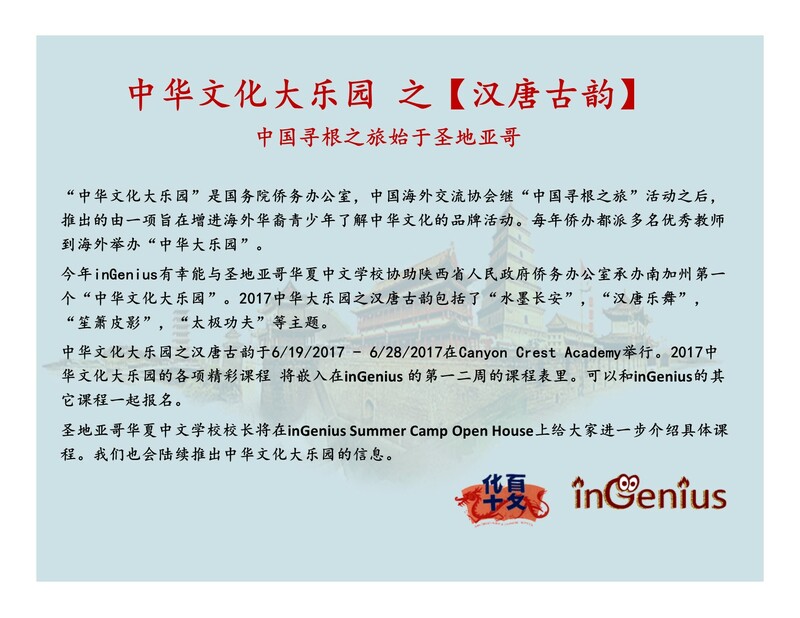 SDHXCS will collaborate with inGenius and work closely with Shaanxi Province to let your children experience the amazing Chinese culture. 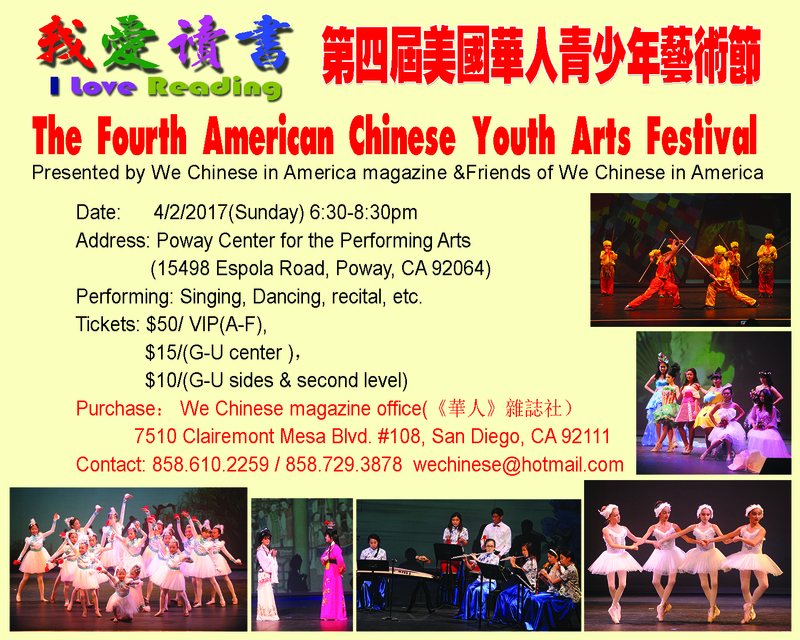 4) The 4th American Chinese Youth Arts Festival tickets are on sale. See flyer for details. Enjoy you day, and I shall see you all on Sunday!